Knesset Speaker Yuli Edelstein told mayors from around the world visiting in Israel that “no city is immune to terror attacks” and therefore a joint global response is required to ensure everyone’s safety. “We can overcome terror only if we do what they do – unite around a single cause – the eradication of terror worldwide,” Edelstein stated. 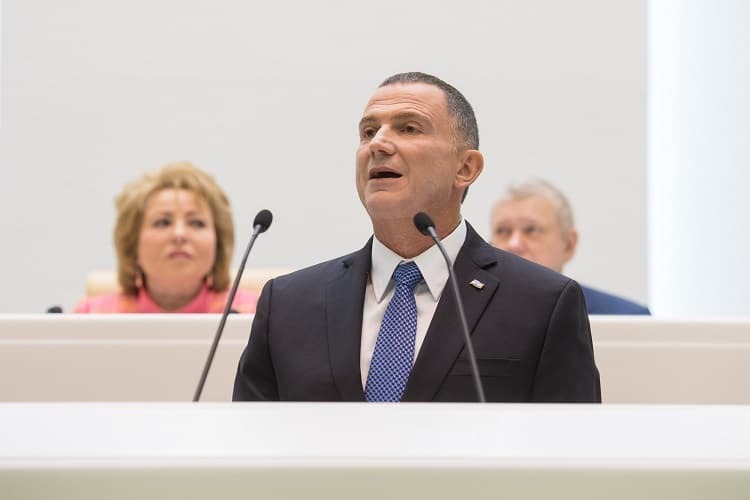 “During its 70 years of existence, Israel has been leading the struggle against terror organizations and has been fighting them on a daily basis,” Edelstein told the visiting mayors. “For 70 years, we have been following our North Star – democratic values. Before every decision, legislation or regulation that is aimed at eradicating terror, we hold difficult and charged debates in the Knesset to make certain that we do not harm innocent civilians in the fight against terrorists. It is not always simple, but this is our compass,” he underscored.